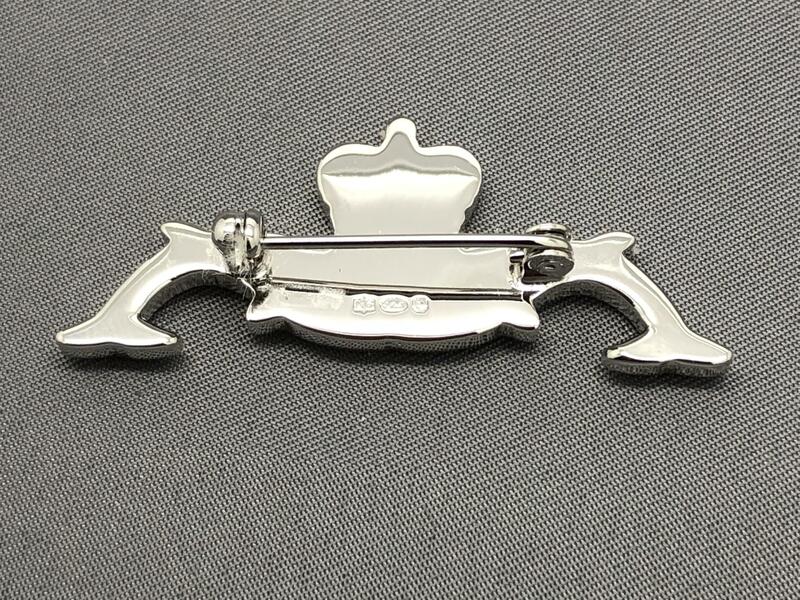 Manufactured in the UK they are cast in sterling silver which is then enameled, polished and hand finished prior to being sent to the assay office for Hallmarking. 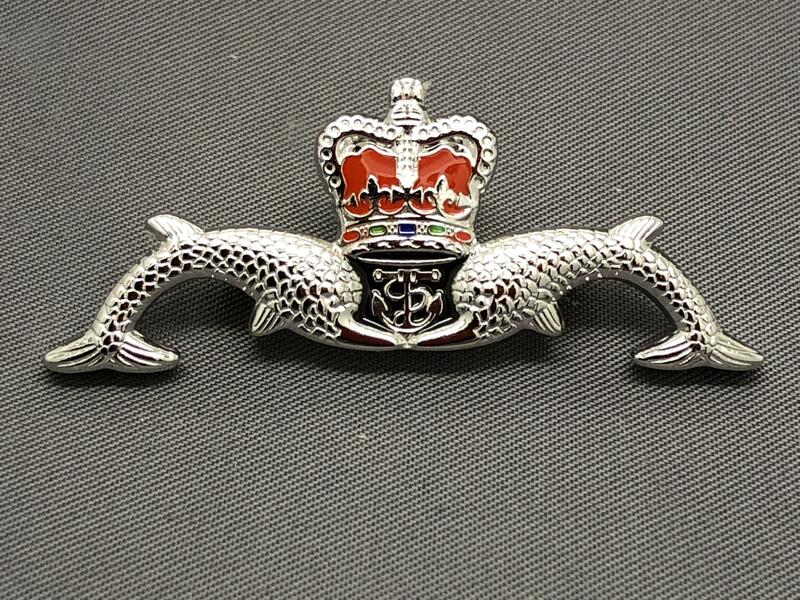 Supplied in a gift box they are very similar to our enameled Miniature Dolphins but slightly larger (45mm) to enable more detail to be shown particularly on the crown. They are Solid Sterling Silver and carry a Hallmark. 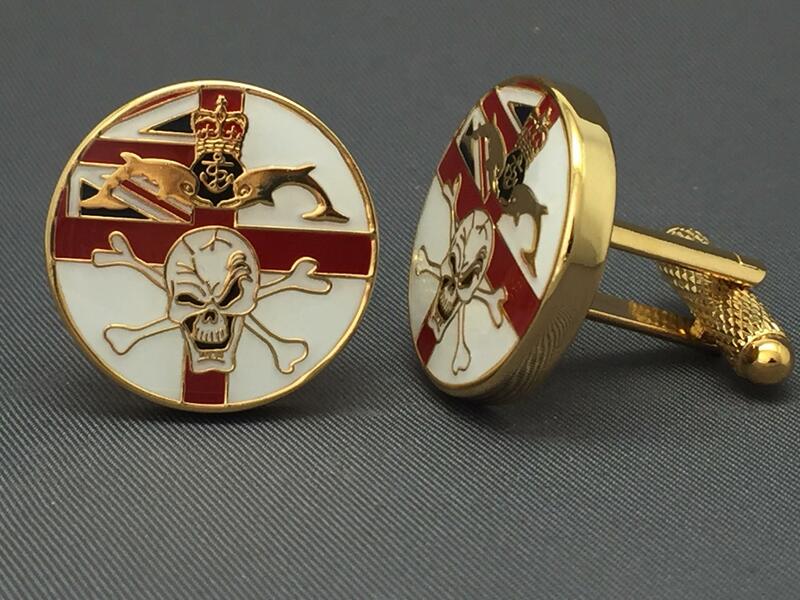 Price includes delivery by Royal Mail, First Class, Signed post to any UK or BFPO address. Additional costs for overseas delivery will be calculated during the check-out process. This is a beautiful piece of jewellery, my wife was very pleased to receive it as a Christmas present. And a big thank you to Sarah, for keeping me informed and for receiving it and then re-posting to me on the Saturday so that it was received on Christmas Eve.